Creation: This tiara was created sometime before 1889. Are there any pictures of Princess Louise wearing this tiara? 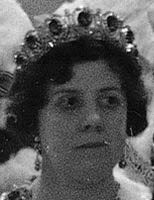 The Tiara you have in the colour photo merely resembles the one worn by Alexandra. All records of the Royal one has been lost and the tiara is presumed the same. 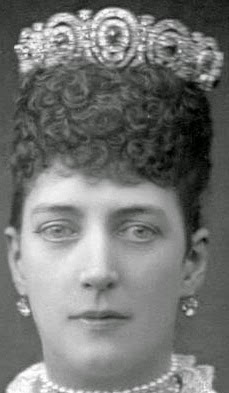 I have searched the net for proper authenticate information but could not get more than that, It is in any case clear from the photos that the two are different tiaras. Thanks Duke - I thought the photo looked funny since it's a newer photo and we have not seen it since the 40s. I think that these are three different tiaras.